The primary colours of blue and yellow unite to create green. Green is the symbolic meaning for new life, resurrection, hope, fertility and environmental awareness. In ancient Egypt, green was associated with the Nile, the source of regeneration and rebirth. In neighbouring Greece, Aristotle believed that green was placed somewhere between black, the symbol for earth and white, the symbol for water. The Romans had special reverence for green as it was the colour belonging to Venus, the goddess of gardens, vegetables and vineyards. Archaeological evidence suggests that the neolitic people in northern Europe used the leaves of the birch tree to make inferior quality dyes. Archaeology, however, has not shed any light on how the ancient Mesopotamians were able to create their vibrant green costumes. Indeed, the production of green dyes remained illusive even in the middle ages. It was not for want of trying. They used ferns, plantains. Buckthorn berries, the juice of nettles and leeks, and the digitalis plant to name just a few, to produce a dye that was resistant to washing and sunlight. A breakthrough came in the 16th century. It was a two-step process, where cloth was first dyed blue with Woad, and then yellow with Yellow-weed. The Green Knight was one of the most renowned characters in the King Arthur narratives. Legend portrays fairies, dragons and monsters as green. Beau Brummel, the famed British fashion icon, wore a green suit. The Suffragettes used the colour green to symbolize hope. I see it in the water. I feel it in the Earth. I smell it in the air. This entry was posted in Colours, J.R.R. Tolkien, Lord Bryon and tagged Colours, J.R.R. Tolkien, Lord Byron. is that picture mint ? It is! The smell was absolutely exquisite. I found the plant in one of our Vancouver community gardens which we have all over the city. I understand that Vancouver permits urban hens in the backyards! I haven’t seen any but there have been articles in the local newspapers. 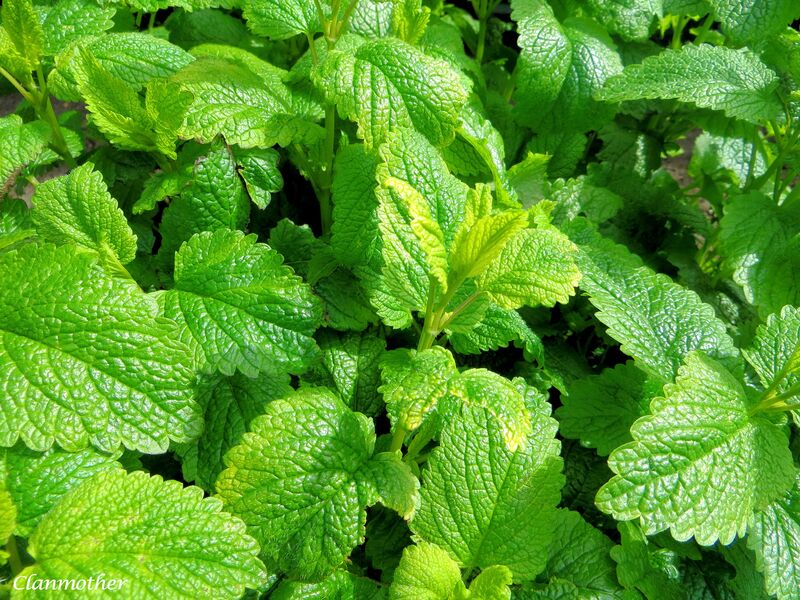 my grandmother had a big mint plant, more like a bush, and we would run around the farm as little children chewing pieces of it…. the most wonderful scent and delightful flavor. I remember reading that J.R.R. Tolkien warned that the combustion engine would prove to be the invention that would cause enormous environment concerns. Just the other day, I was reading about electric cars. We are getting ever closer. Meanwhile, I am walking more and more and more! It seems the scale approves! 🙂 Thank you for your comments -so appreciated. Thank you, it is interesting to learn much from your post on the colour green, which is an important colour to me (also to mankind). As I go on to reading Kandinsky’s description on colours, do I find in fact colours have many stimulating “notions” behind them. Thanks again, have a great WE. There is so much to colour that we have yet to understand. Especially how colour interrelates with our senses and emotions. Having a great weekend attending the Highland Games on Victoria Island – will be in and out of WIFI? I will be looking into Kandinksy when I return to Vancouver. Thank you!!! Thank you so much!!! You always make my day pure sunshine! Makes me think “How Green Was my Valley”. While I was “away” I was wondering what you would be informing us about. I thought you would surely have run out of ideas to blog about. I was wrong. Color is such a part of our life. I can’t imagine being color blind or a world without color. My son and his fiancee are building a new home (wedding sometime late summer). We keep hearing all the details and of colors of this and that. Those Design Centers have new and exotic names for colors you never heard of. I can only imagine the names of the wedding colors. I go to the paint store just to find out what they are naming the different shades. And what about lipstick, fingernail polish! These marketing people are full of creativity. Names for colors give presence, a location, a memory. Weddings are always exciting! Congratulations to your son and his fiancée. I like the California Academy of Sciences, the Greenest Museum in the World. Thank you, Rebecca, for your inspired Green! And thank you for always giving so much to our discussions. You continue to increase my knowledge and feed my curiosity! Just a Brilliant post Rebecca ! I will bookmark this one as its wonderful and great resource for more study. Fantastic – really enjoyed reading it !! Thank you for making my day brilliant! I will be heading out in a few moments to watch bagpipers at the Highland Games. We are celebrating Queen Victoria’s birthday this weekend in Canada. We are on Victoria Island where there is green, green, green all around. That Tolkien quote is really sad, isn’t it? I love the brilliant green of the leaves in your photo. I remember reading the passage in the LOTR trilogy when I was 15 (a few decades ago). I cried – still do. We live in such a beautiful world. We must make a difference. This weekend, we are celebrating Victoria Day in Cananda. We are at the Highland Games on Victoria Island so am in and out of WIFI. There is a great deal of green here! You would love it! Sadly, Tolkien is correct once again. But, there is still much beauty to protect. I enjoy riding by the trees on the side of the road, each has its own look–much like the snowflake, none of them are alike, each has its own personality. Great educational post. We still can make a difference. I believe in the power of one. Recycle, reuse, remember! Thank you for your comments!!! Green is a balancing color, in the middle of the visible spectrum. The higher three colors ,violet, indigo and blue ,are known as the “cool” colors and are calming in effect, the lower three, yellow, orange and red, are known as the “warm” colors and have a stimulating effect. Green is the balance between these two. Beautiful mint picture! I have lots of it in my garden. Love the aroma of the leaves. I am so enjoying our connection! Green is the balancing colour – I did not know that!!! No wonder we appreciate this colour in our lives. Thank you for adding so much to this discussion. Have a wonderful weekend. Thank you ! I am enjoying our connection, too!